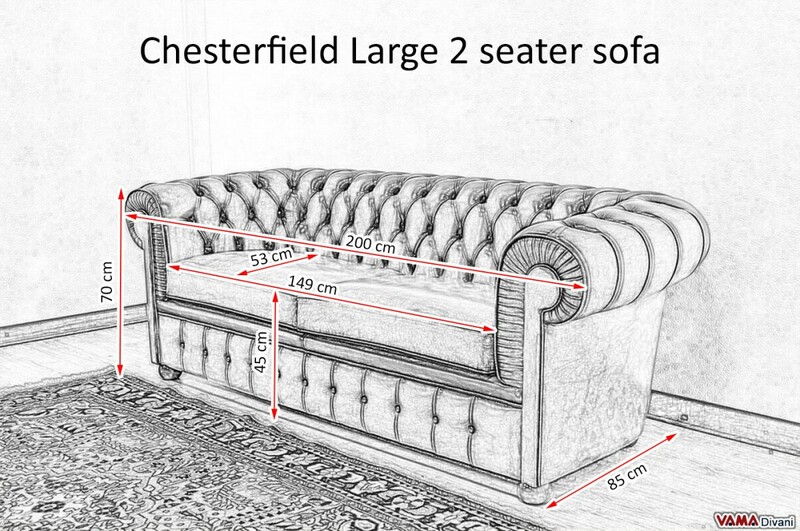 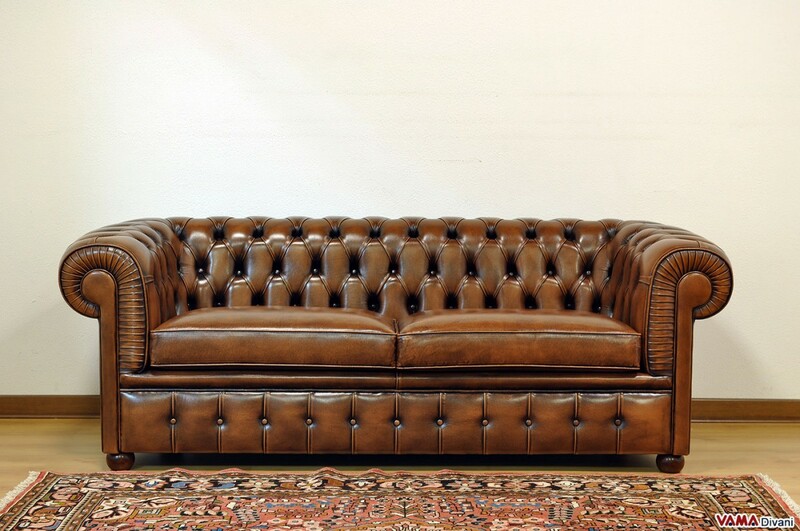 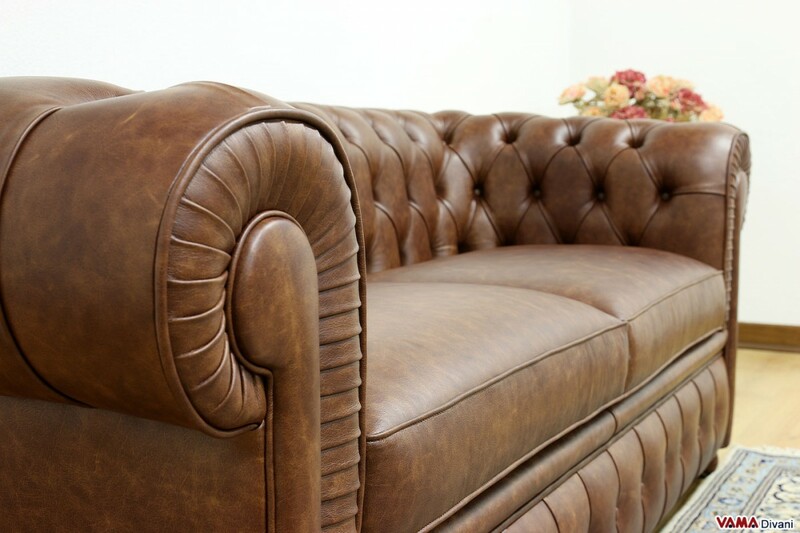 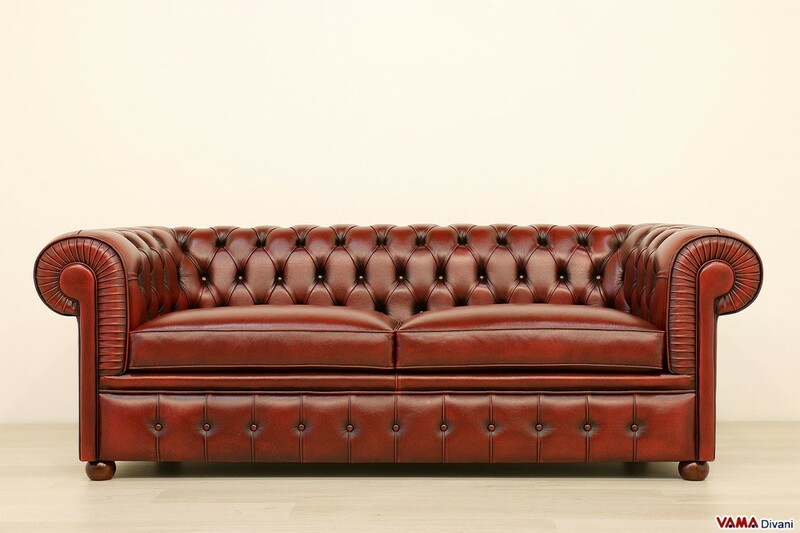 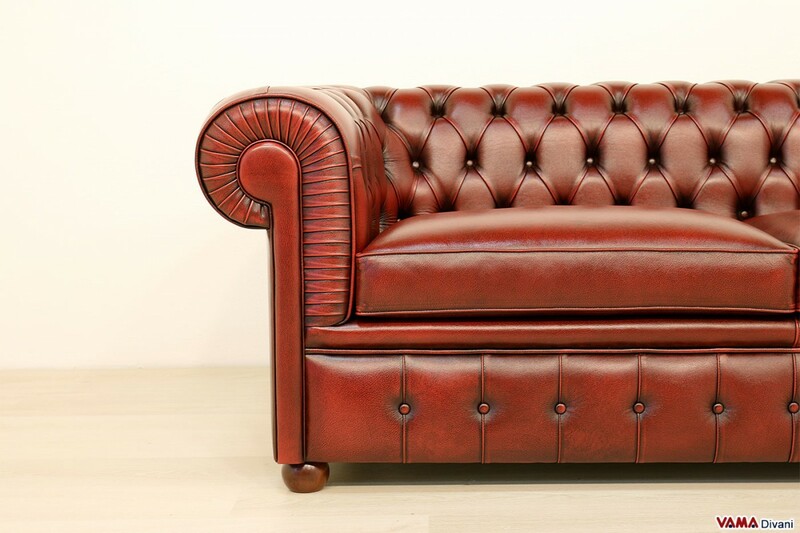 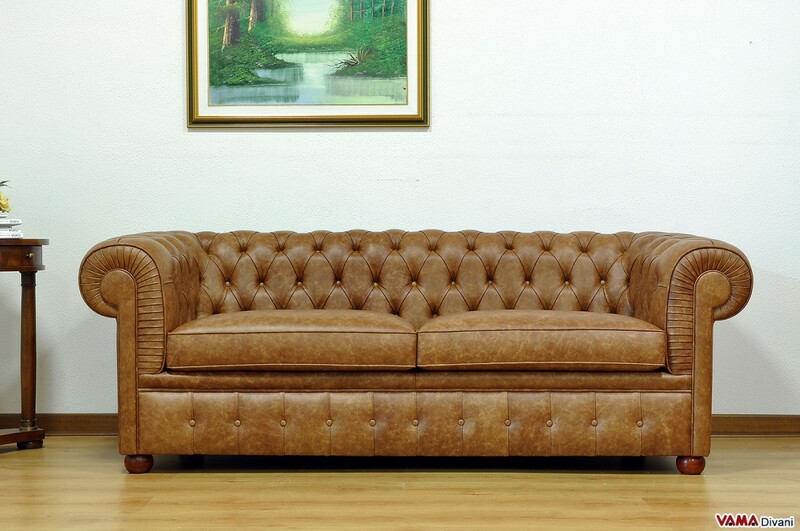 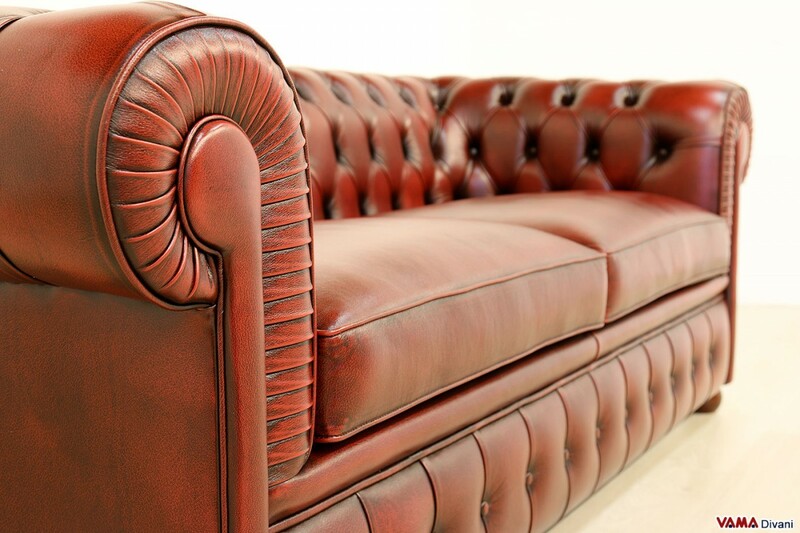 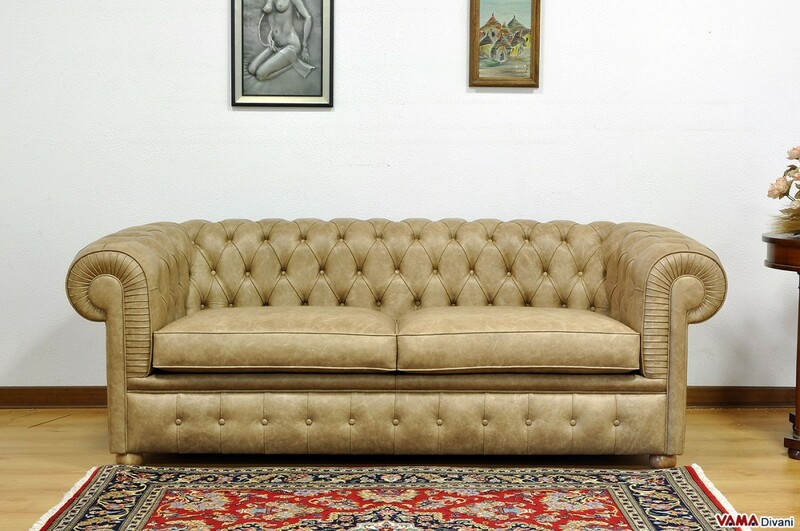 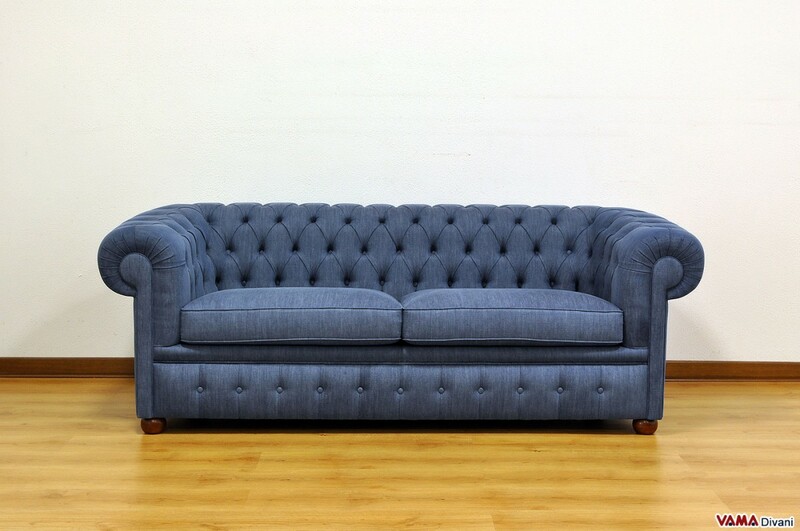 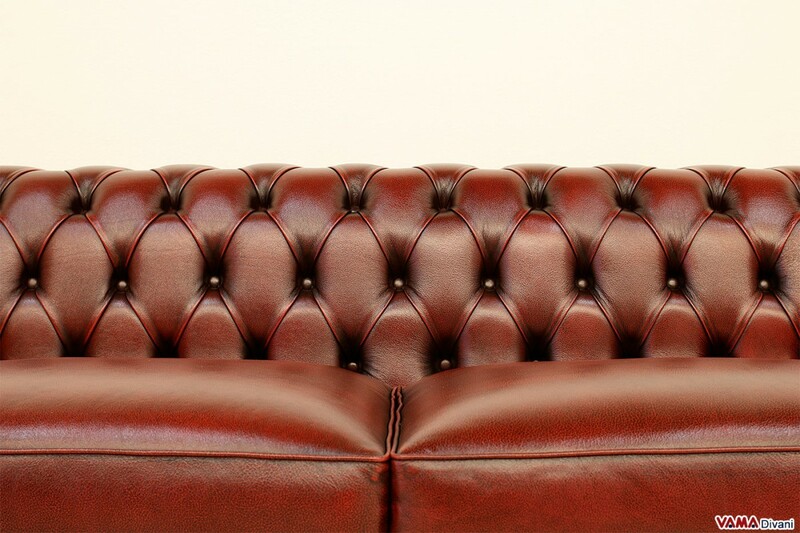 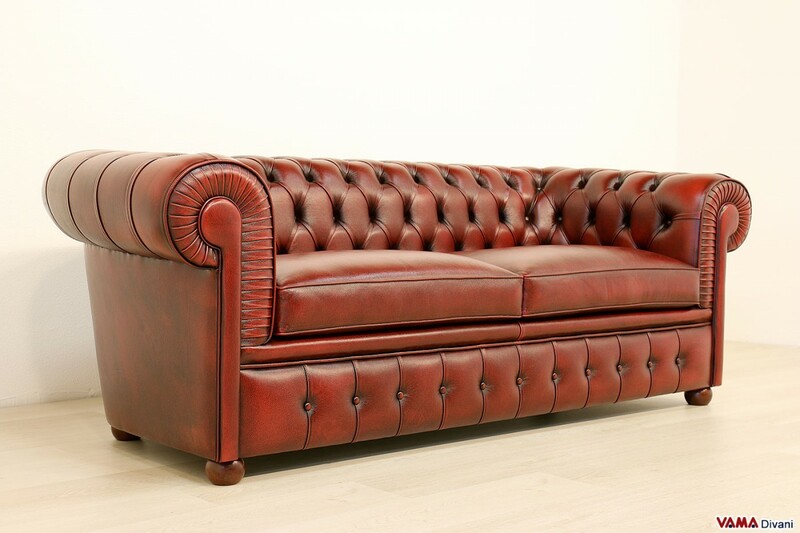 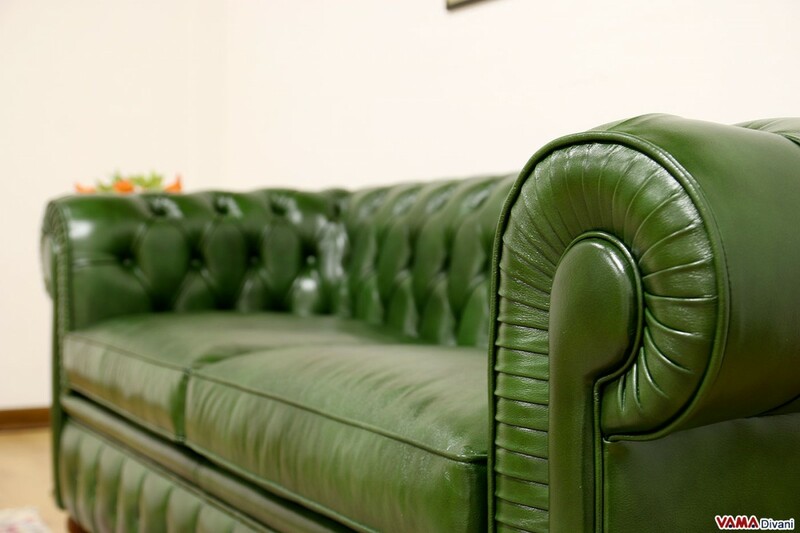 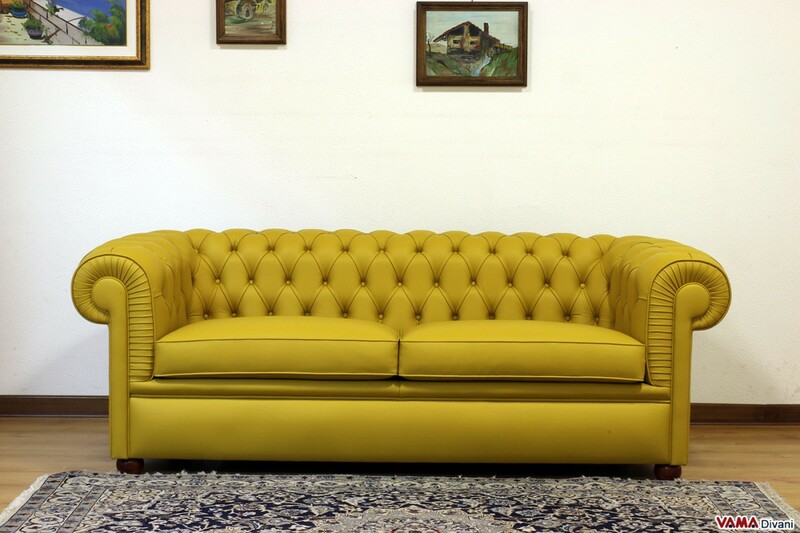 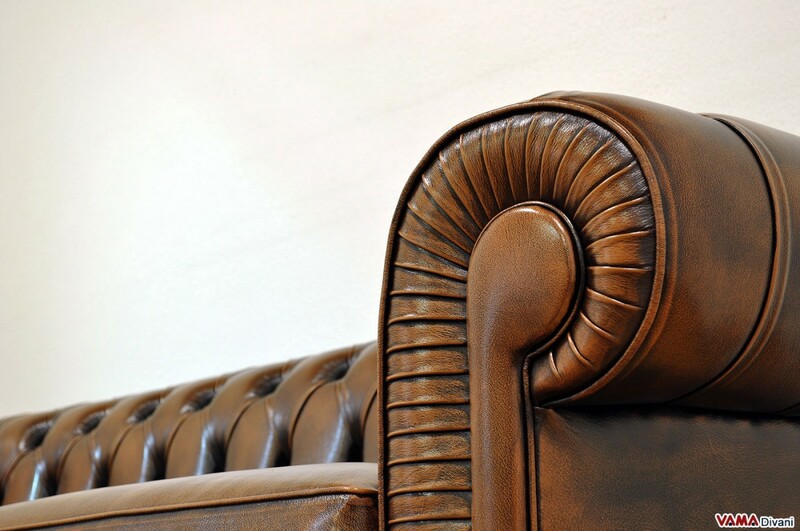 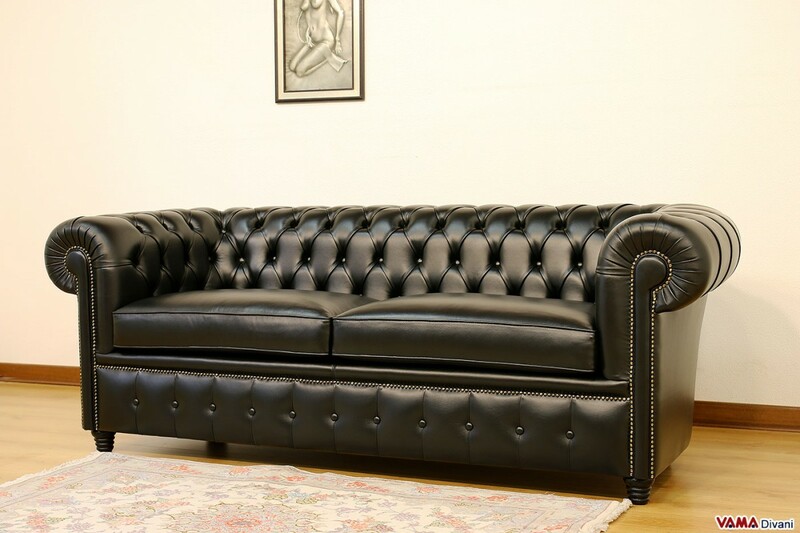 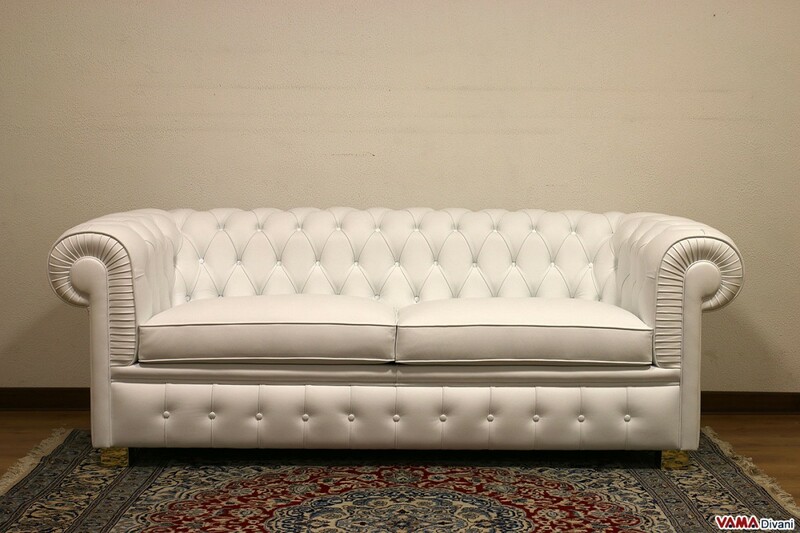 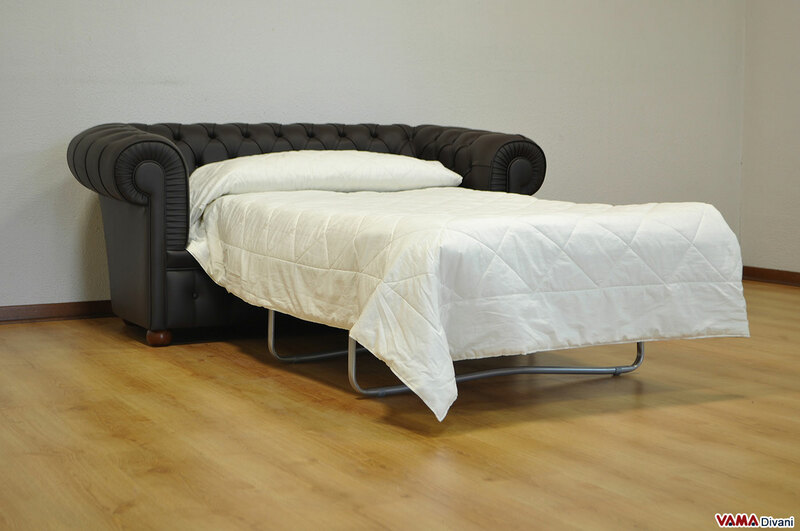 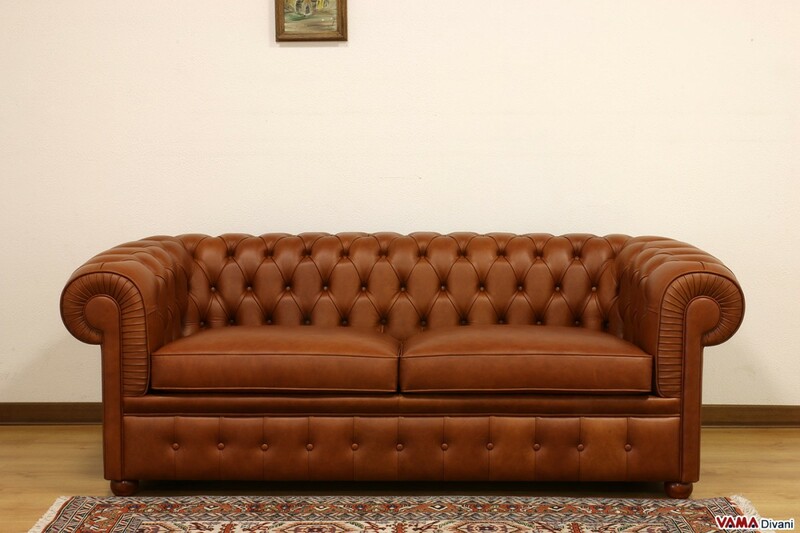 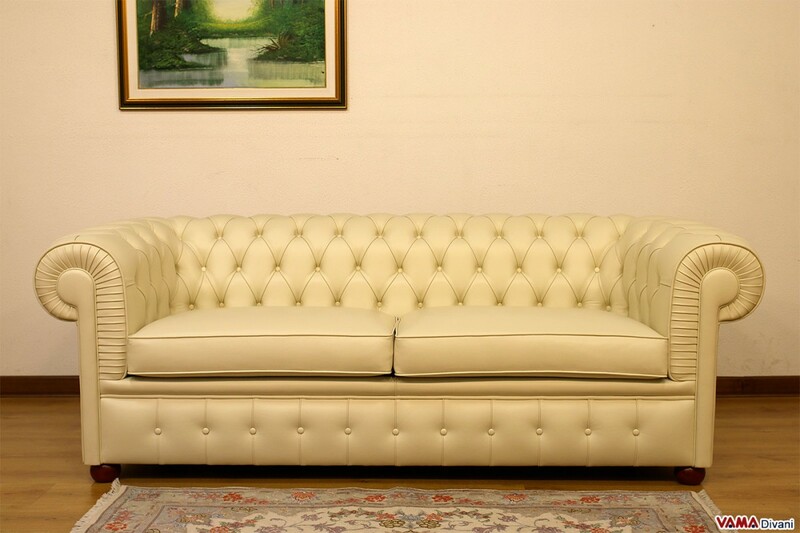 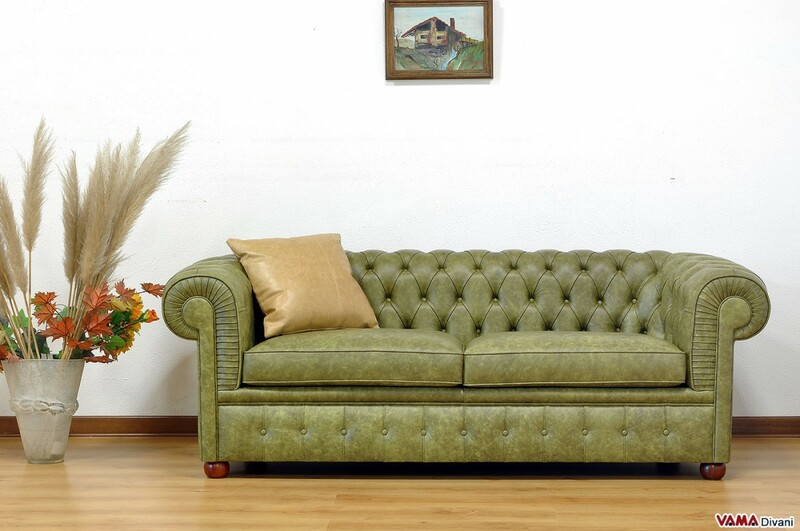 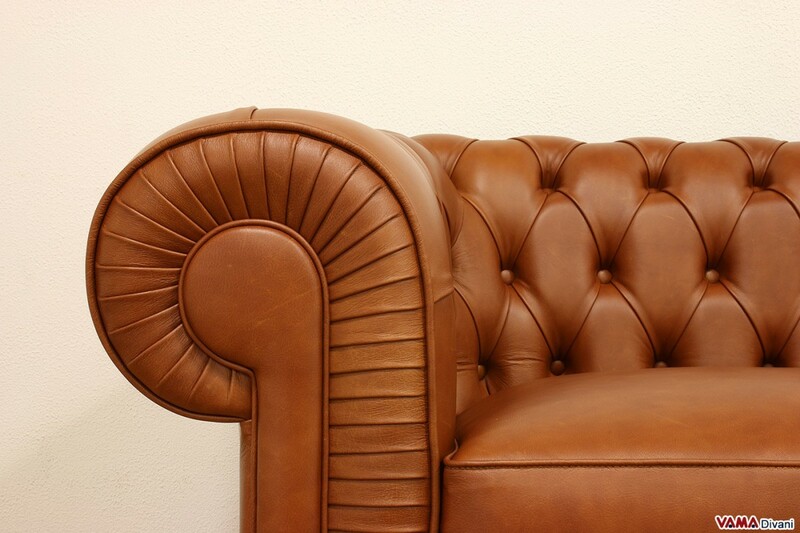 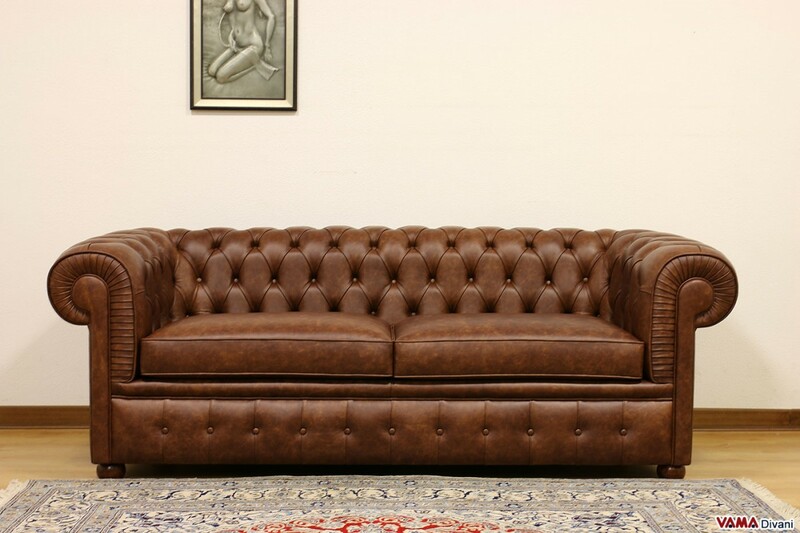 The Chesterfield Large 2 seater sofa features all the typical characteristics of the "oldest Chester" sofas: arms and seat back at the same height, buttoned details realised in a perfect way over the entire surface, except for its seat, fine and moulded wooden feet and many other accurate finishes. 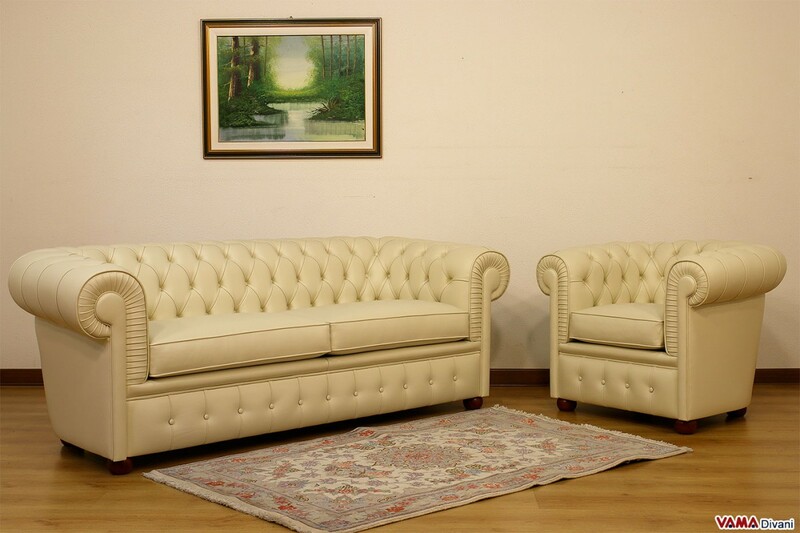 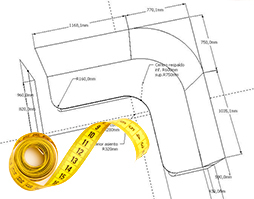 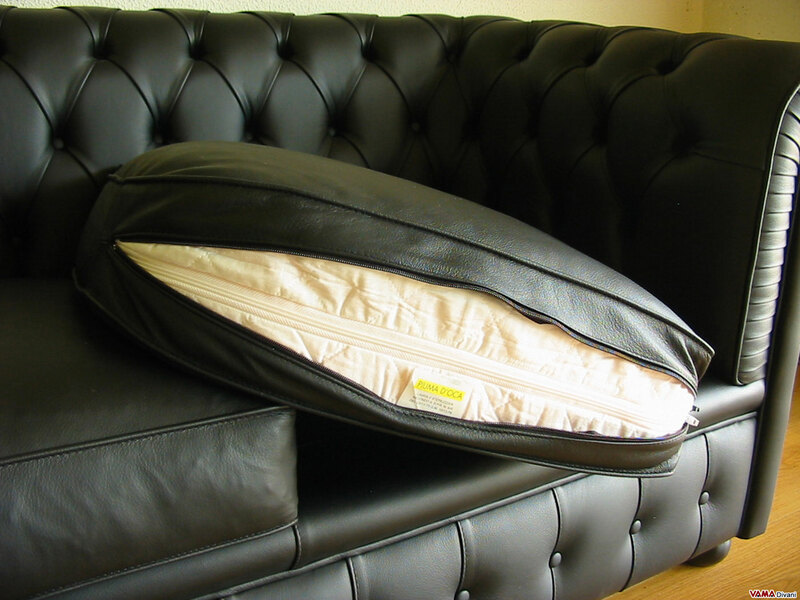 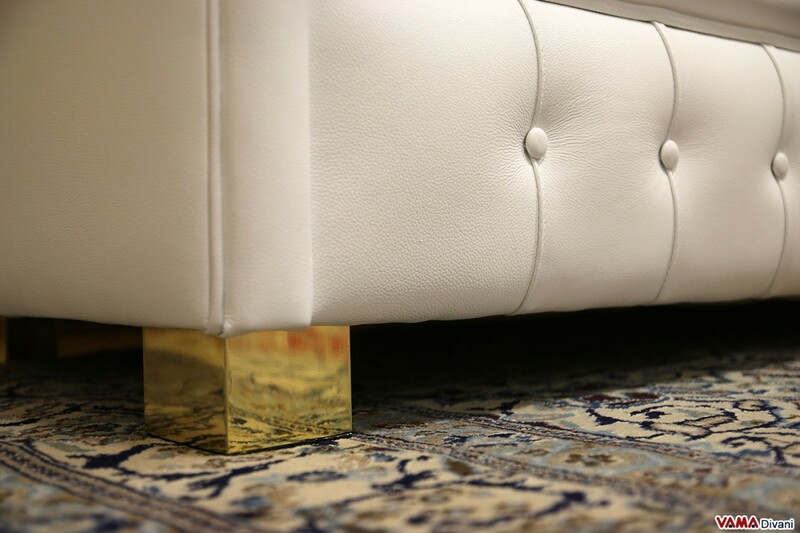 With its 2 impressive cushions, we can really define this sofa as "the king of comfort"! 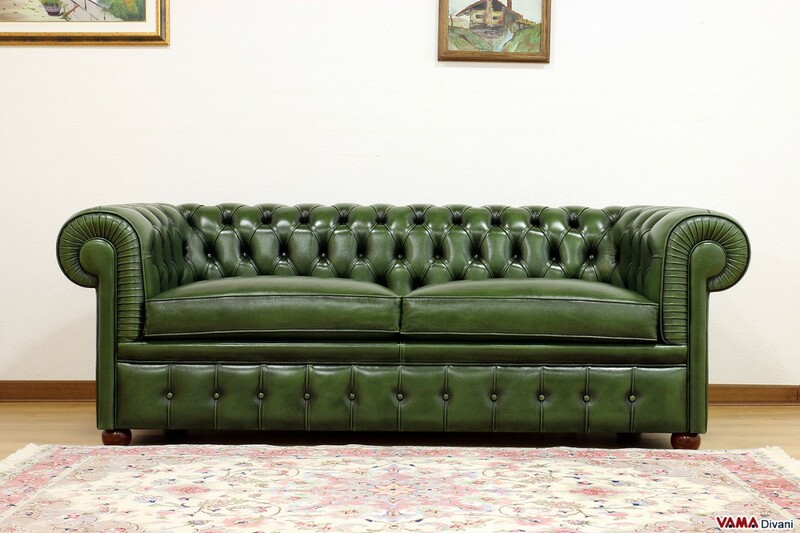 The beautiful leather used for its upholstery highlights the Vintage style of this Chesterfield Large 2 seater sofa: the leather, in fact, is aged by hand through a long and laborious craftsmanship treatment which enhances the "distressed" look of the sofa. 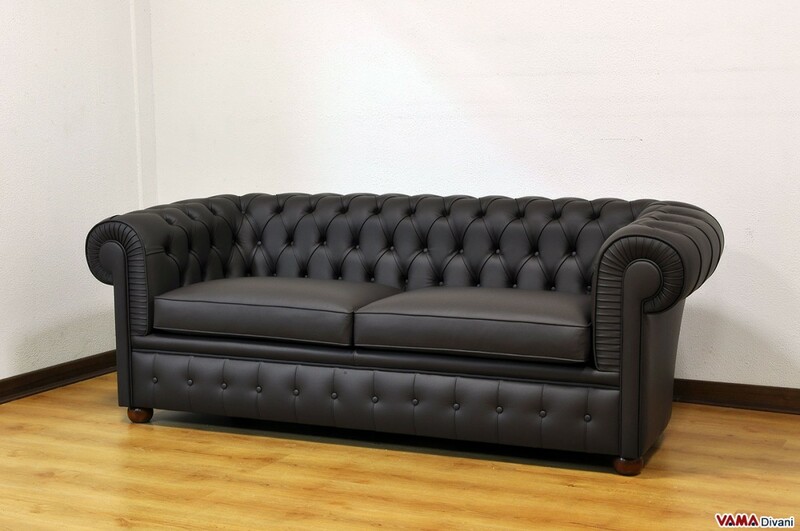 This sofa is ideal for traditionally furnished rooms, but its great beauty allows it to be placed even in a modern or minimalist space. 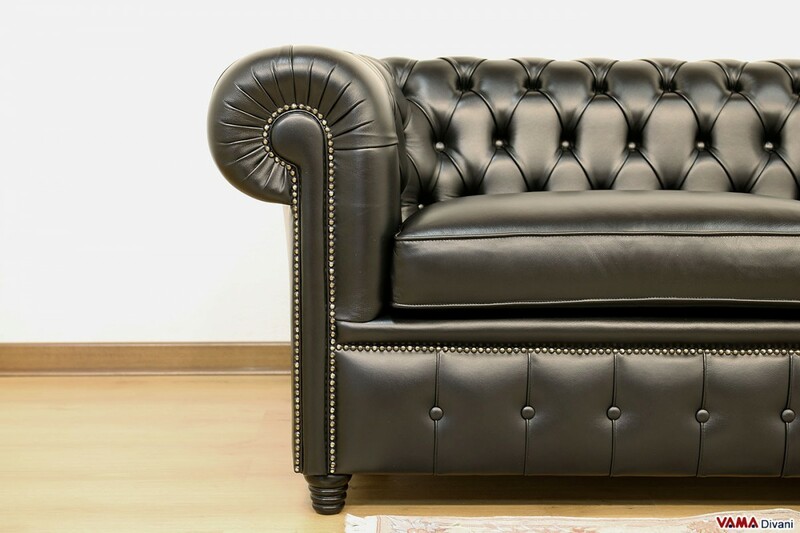 If you think that the 200 cm size of this Chesterfield Large 2 seater sofa is ideal for your room but you would like to have a complete living room set to take advantage of other seating, you can easily match it to a Chesterfield armchair, a Chesterina armchair or a Parisian armchair. 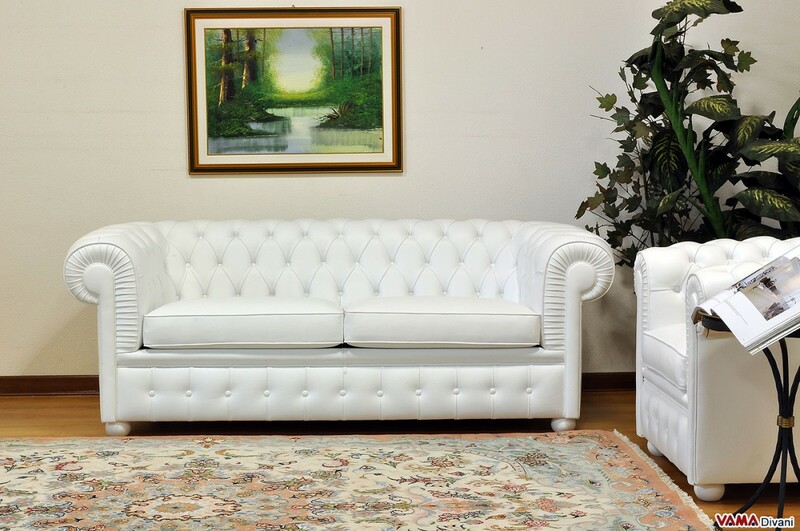 If you are looking for your ideal different size for this Chester sofa, you can request to VAMA Divani your Chesterfield Custom sofa.